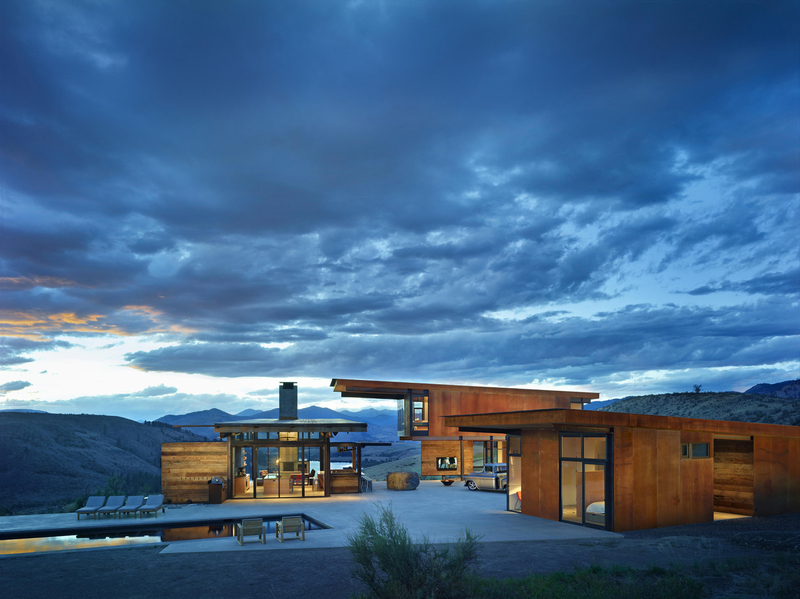 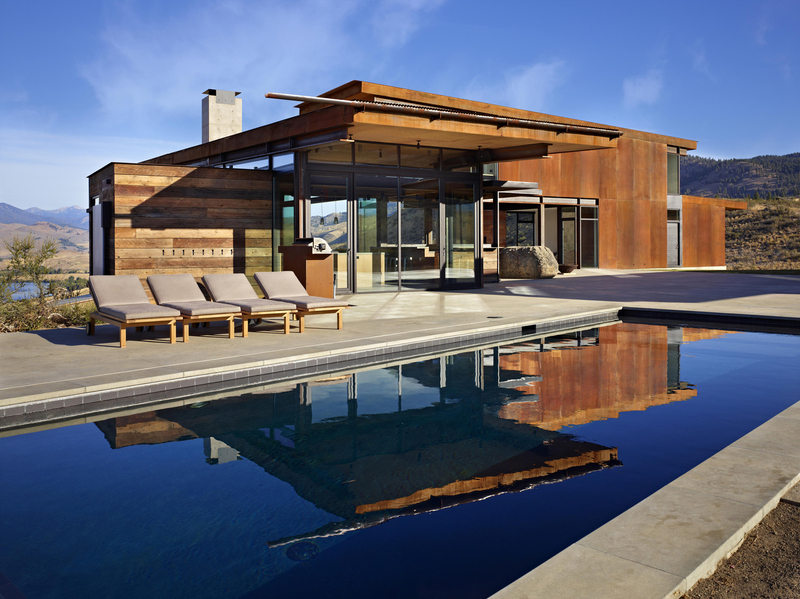 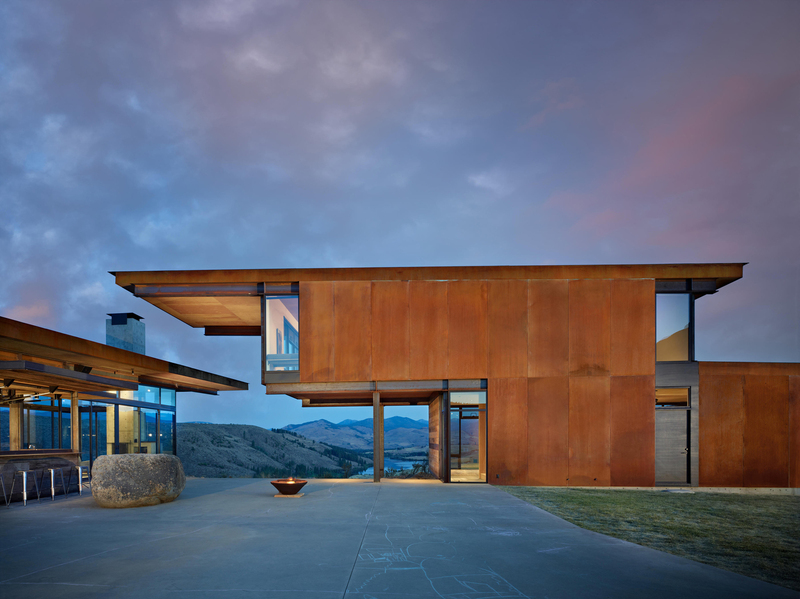 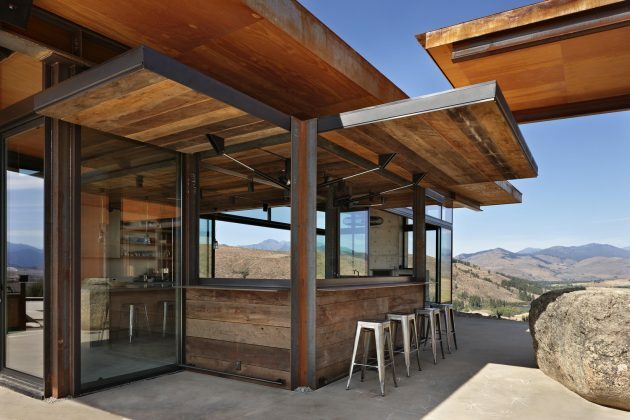 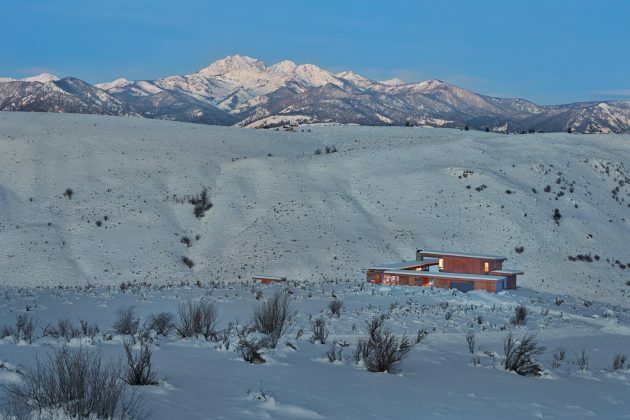 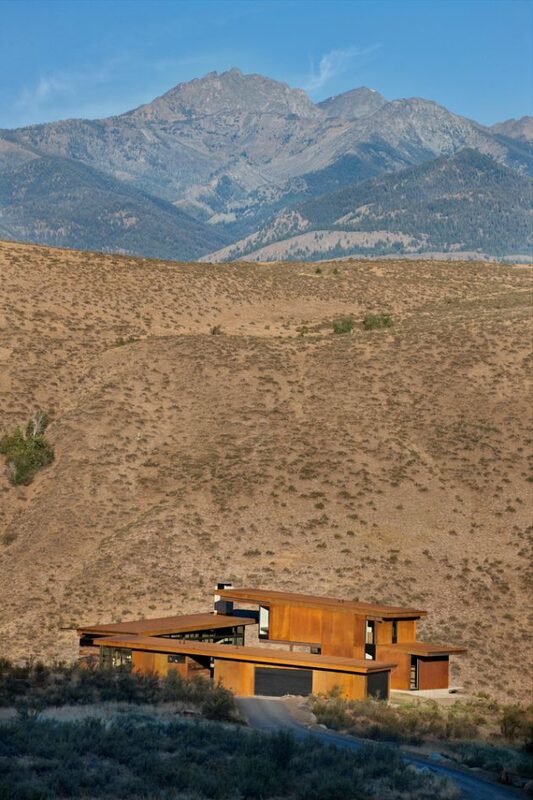 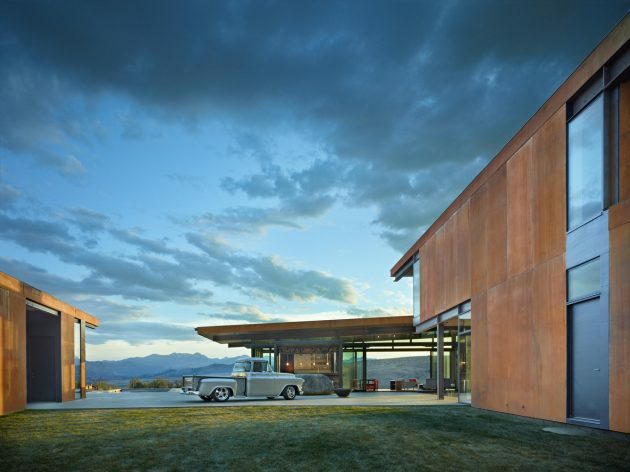 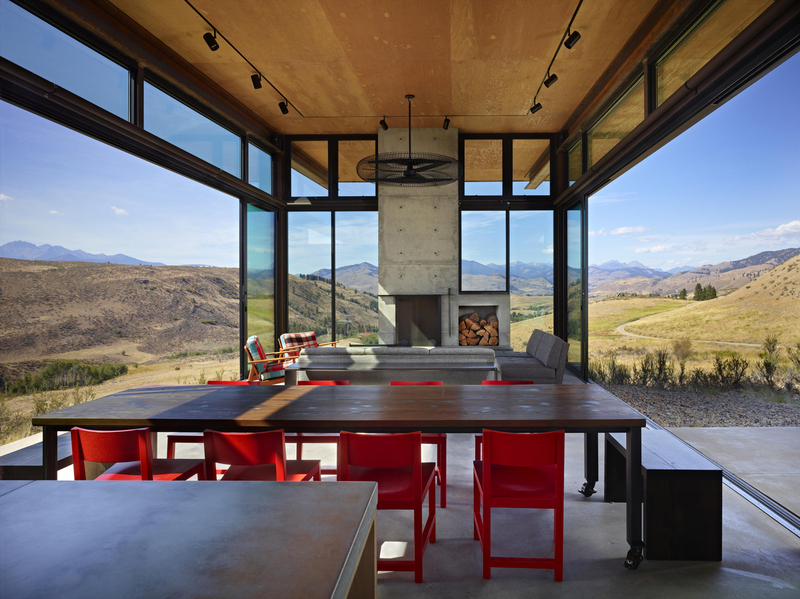 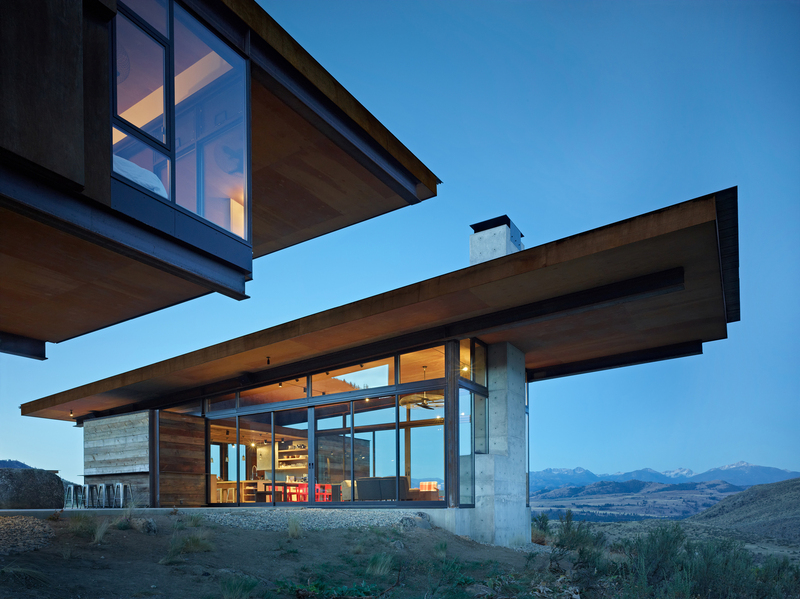 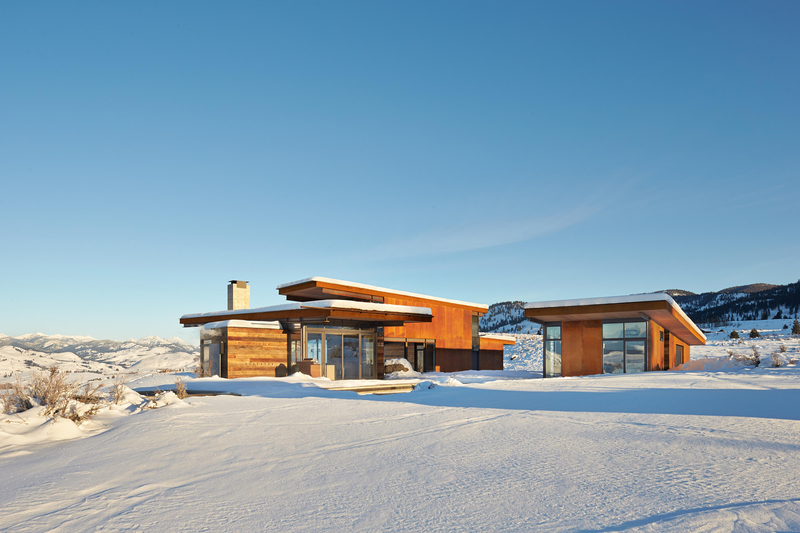 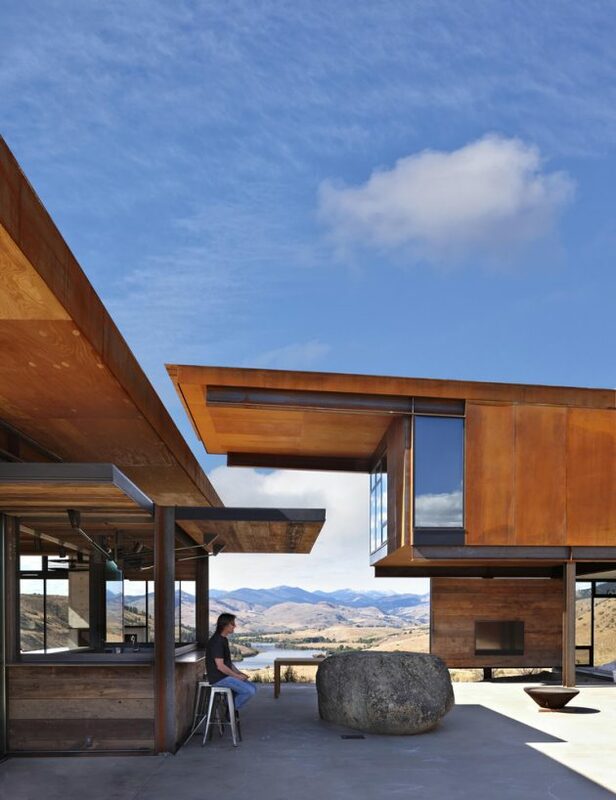 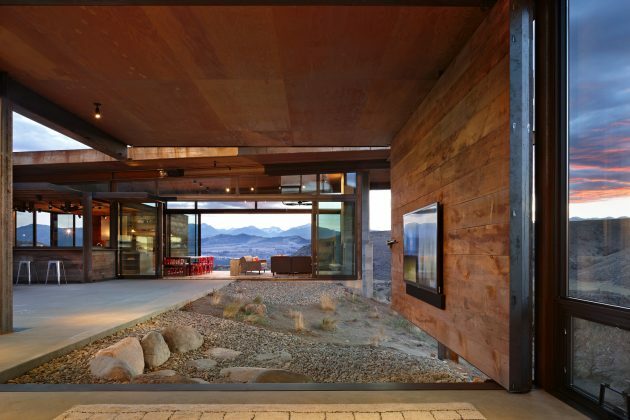 Washington’s Methow Valley is the perfect place for a family home, especially for one like the Studhorse – a luxury residence designed by Olson Kundig. 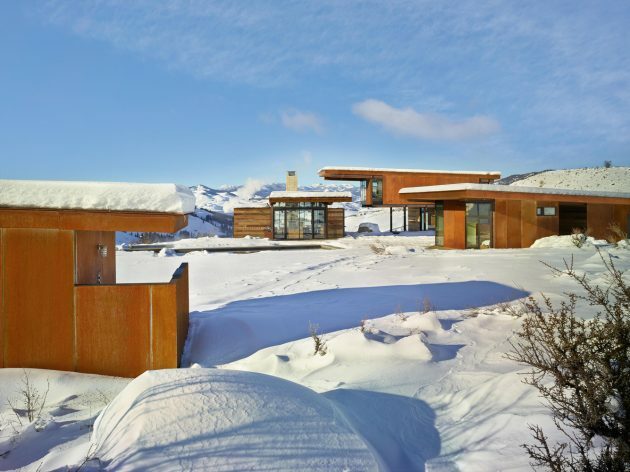 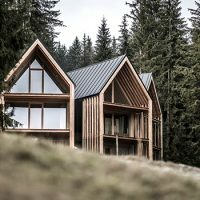 The house embodies the spirit of adventure created by its remote rural setting – a largely untouched landscape on the edge of a national forest that hosts the USA’s largest Nordic ski trail system in winter. 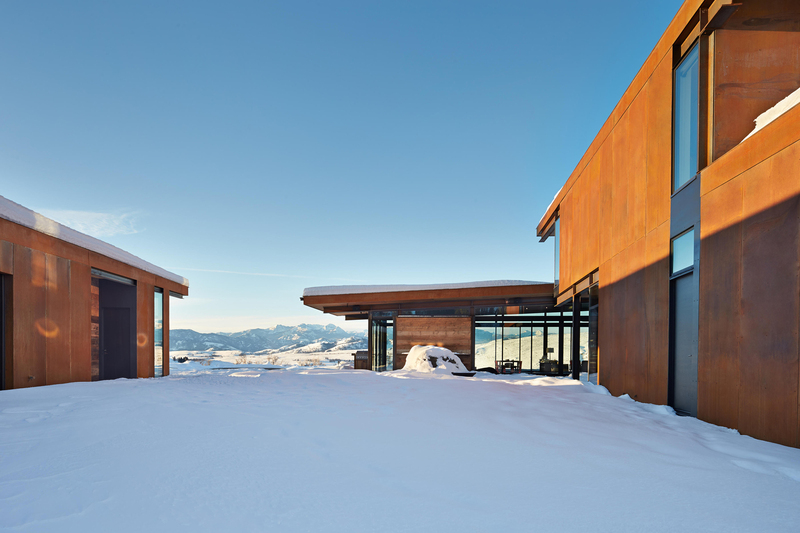 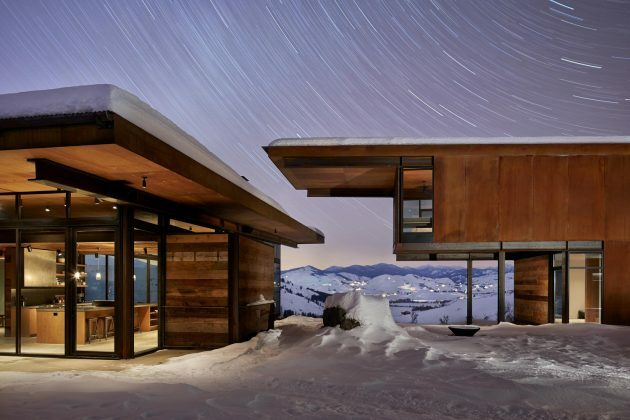 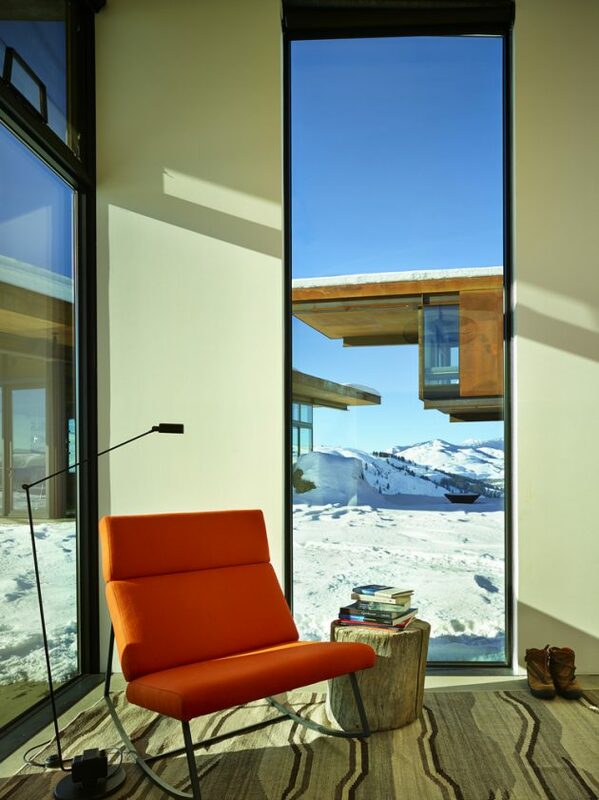 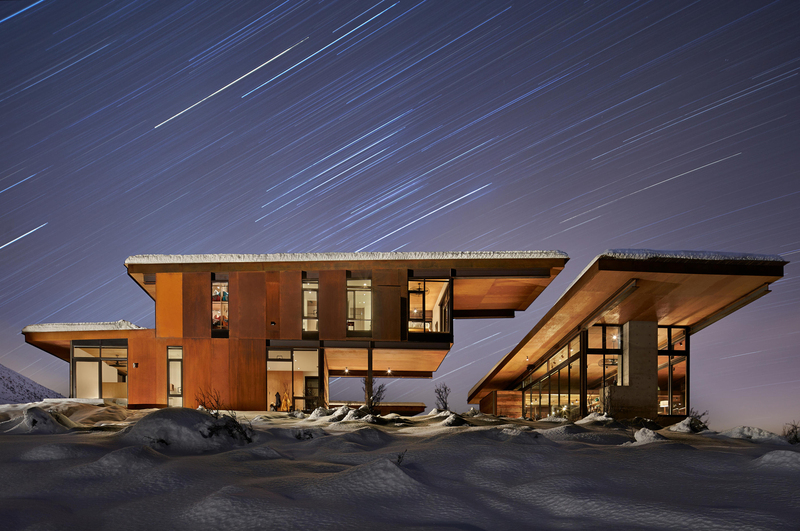 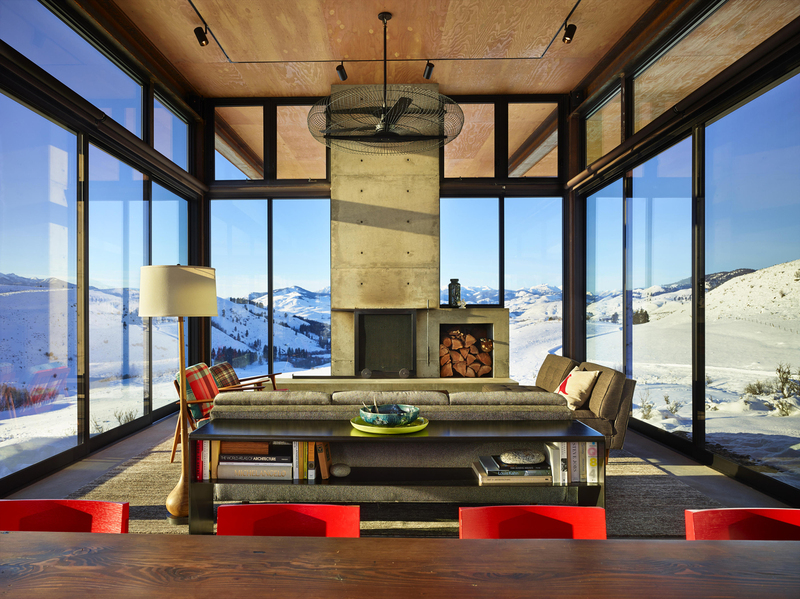 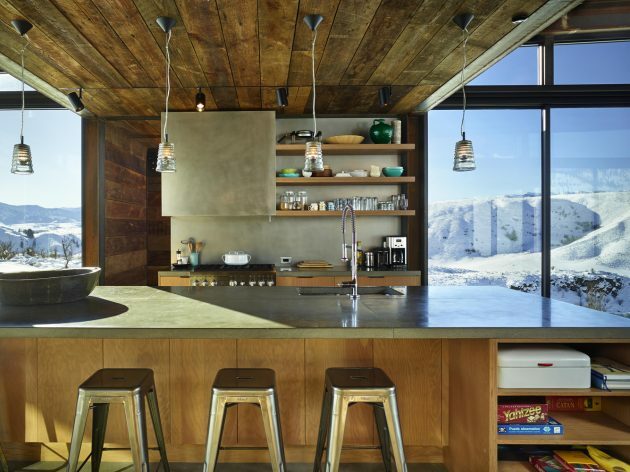 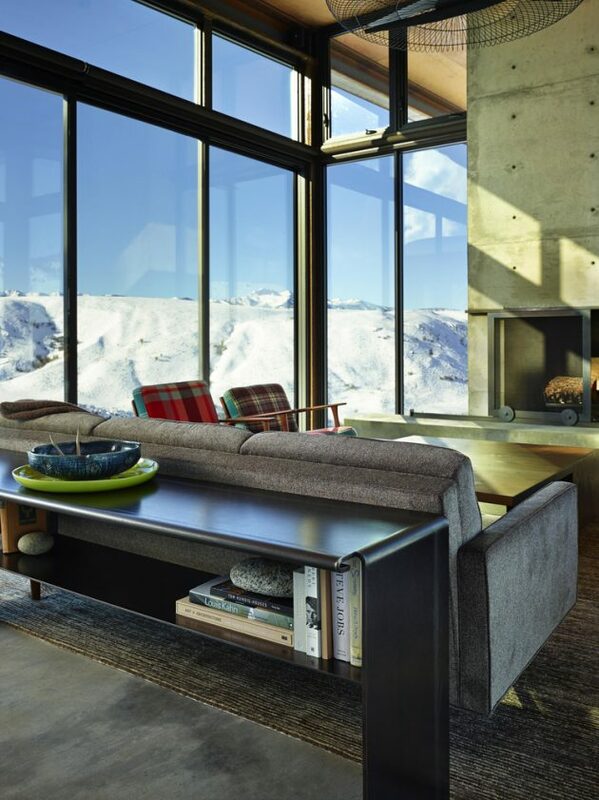 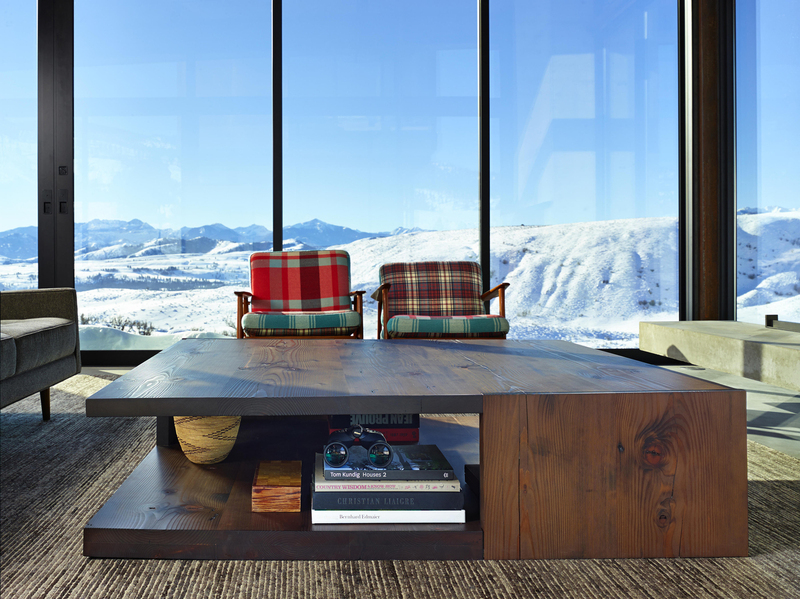 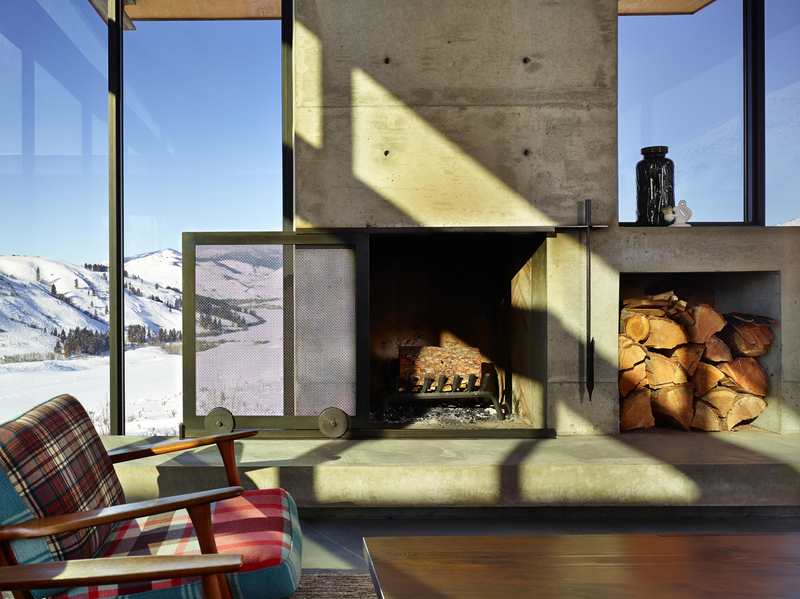 From the architects: “Set in the remote Methow Valley, Studhorse responds to the clients’ desire to experience and engage the surrounding environment throughout all four seasons. 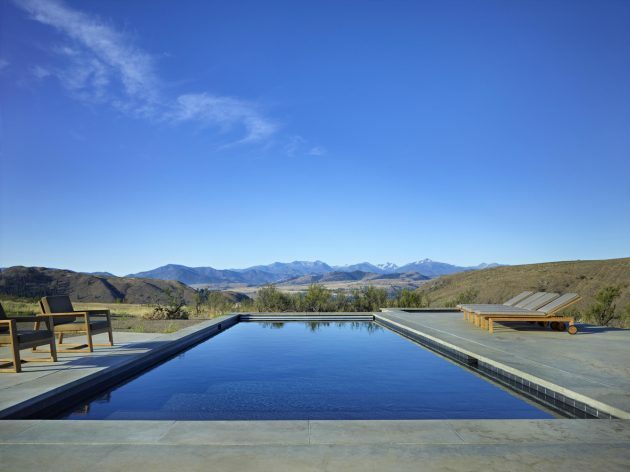 Referencing the tradition of circling wagons, the buildings—four small, unattached structures—are scattered around a central courtyard and pool. 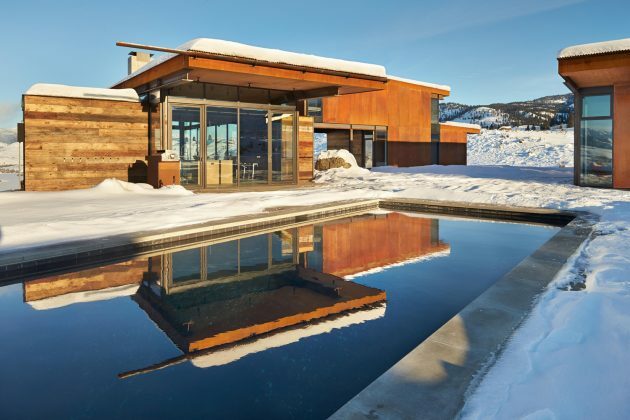 The 20-acre site is nestled in the northern portion of the 60 mile long glacial valley and the buildings are arranged to frame carefully composed views of the surrounding Studhorse Ridge and Pearrygin Lake. 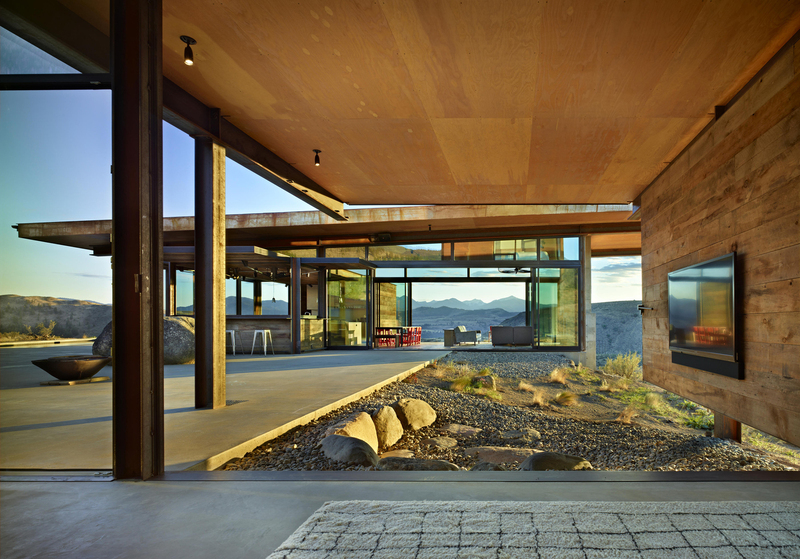 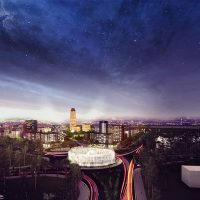 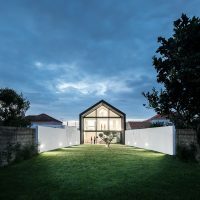 Traditional boundaries between the built structure and its surroundings are purposefully blurred, so that the family can experience the site and nature. 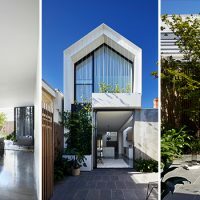 With the four buildings oriented to open to the central courtyard, the design is oriented toward family life and entertaining. Public areas, including the family room, kitchen and bar are grouped together in the common area pavilion. 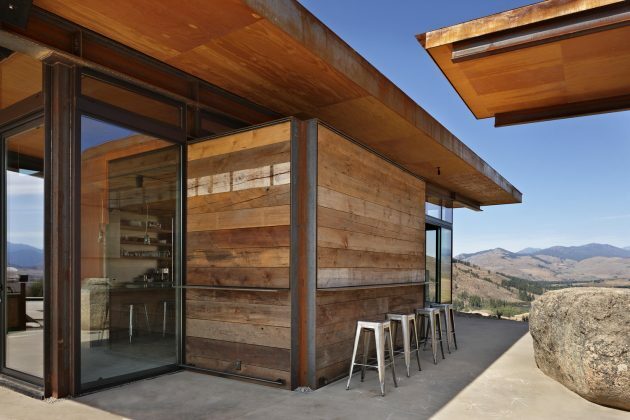 Private areas—the master bedroom, kids’ bedroom, and den—are more secluded in an adjacent building. 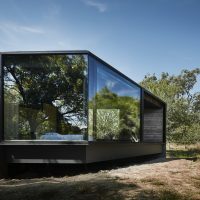 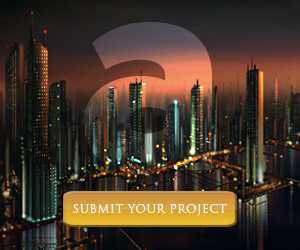 Guest rooms are part of the master plan composition of buildings but isolated to allow for independent use. 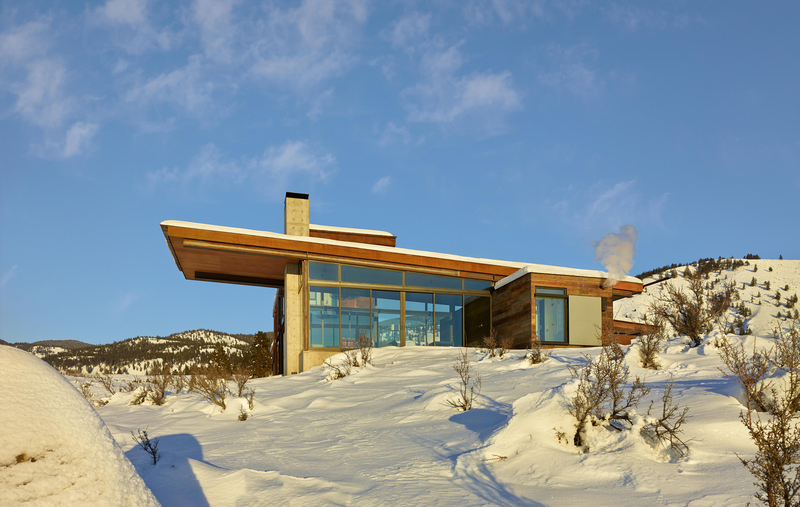 The sauna sits removed from the other buildings with a privately framed view looking out over the valley below.